Welcome bonus: €/£/$ 500 Welcome Bonus Package. Restricted countries: Players from United States, Australia, South Africa, Spain, France, Italy, Belgium, Hong Kong, Romania, Lithuania, Singapore and Puerto Rico are not accepted at Casino Classic. Casino Classic is a popular European online casino that hosts a large variety of quality games from Microgaming. The casino is part of the Casino Rewards Group and offers players great chances at winning high payouts and progressive jackpots. Fully licensed and insured, players will be at ease when playing at this online casino. With great security measures, all player information is confidential and deposits and withdrawals are processed through encryption software, increasing player security. 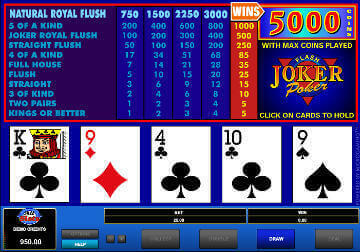 Casino Classic offers more than 300 of the very best Microgaming games available. There is something great for every type of player at the casino. Beginner gamblers will enjoy the ease of navigation and the high quality slot games while card sharks can up the ante at the tables. Casino Classis offers all of the traditional casino games, such as blackjack, roulette and poker. In addition, players can select 3 Card Poker, Sic Bo, baccarat and many others. The casino is home to hundreds of slot games, including traditional slots, video slots and the great paying progressive slots. All of the slots from Microgaming are designed using the best graphics and sounds in the industry, providing a realistic effect and enhancing the playing quality. The progressive jackpot games are linked to a jackpot network, allowing the prizes to grow rapidly, often reaching more than $3 million. With so many exciting games available to you at Casino Classic, your Welcome Bonus is the perfect way to get started and to find your favourite slot and table games. Existing players will benefit from ongoing promotions and bonuses that change weekly and monthly. These bonuses can include extra play bonuses, match bonuses and reload bonuses. There are many ways for players to increase their bankroll while playing the fantastic games at Casino Classic. If you choose to accept Casino Classic bonus, terms and conditions apply. Please play responsibly. 18+ only. Players from Europe will enjoy the fact that Pounds and Euros are both supported. The casino also supports US and Canadian dollars. There are many banking methods that are available, allowing players many choices when it comes to managing their casino account. By selecting one of the top methods, players will be able to make fast and safe deposits and withdrawals. The banking methods that are supported include Citadel, Diners Club, EcoCard, E-check, Click2Pay, PayPal, InstaCash, MasterCard, Skrill (MoneyBookers), Neteller, PaySpark, UseMyBank and Visa.